Explore all of the courses and programmes we offer with our prospectuses. Prospectuses are available for both undergraduate and postgraduate study, as well as for individual academic departments. You can access them straight away as PDFs emailed to you, or you can have printed versions delivered to your address within two weeks. Which prospectus would you like to see? Explore your new world with our Undergraduate Prospectus. 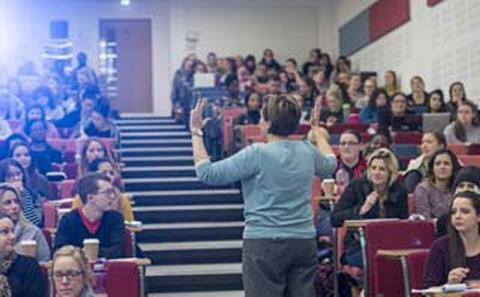 Find out more about life on campus and in the city and the rich variety of courses and personalised learning that we offer. If you are interested in a Masters, Postgraduate Diploma or Postgraduate Certificate taught course you can find out more about the many options we offer from our Postgraduate Taught Prospectus. Discover more about our rich variety of PhD and doctoral research opportunities and how we support our research students in our vibrant, interdisciplinary research community. A Foundation Year may be the option for you if you do not have the traditional entry qualifications for your chosen undergraduate degree. Learn more about your options with our Foundation Year Prospectus. View subject brochures with details of courses, teaching, student experience and career opportunities. Click on the letters in the grid to jump down to subjects beginning with that letter, then click on the subject name to view, download or order a subject brochure for that area of study. If you are not eligible for direct entry into our undergraduate degrees, our foundation years can help you to meet the entry requirements to your chosen degree programme.